Toon Chickens 2 - Standard human G5 characters of Toon Chickens with facial animation. 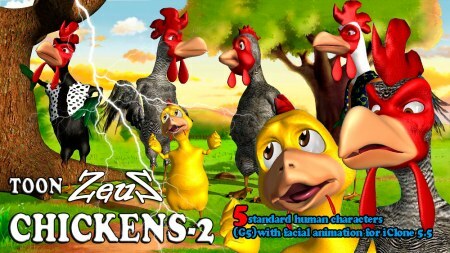 Description: Standard human G5 characters of Toon Chickens with facial animation (custom morphed phonetics and facial animation). They are modeled in Zbrush. Thank you Sir. Nice work, as always. Видео понравилось, особенно анимация эмоций персонажа.